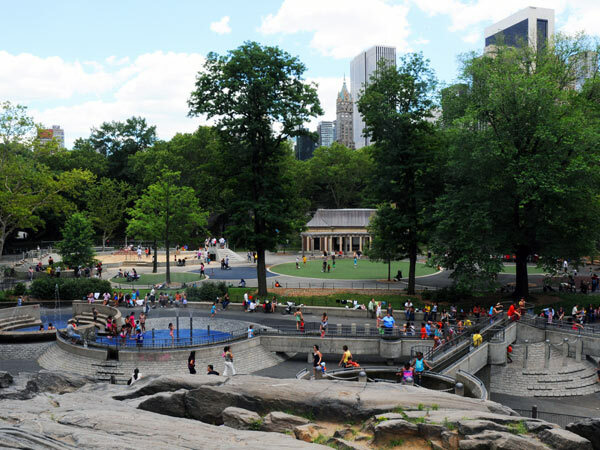 Central Park’s oldest and largest playground, Heckscher Playground was built in 1926 in the southwestern part of the park by the New York City Department of Parks and Recreation. It originally included an area with swings, climbers, and slides, a large wading pool, a recreation building, and an open area for active games. 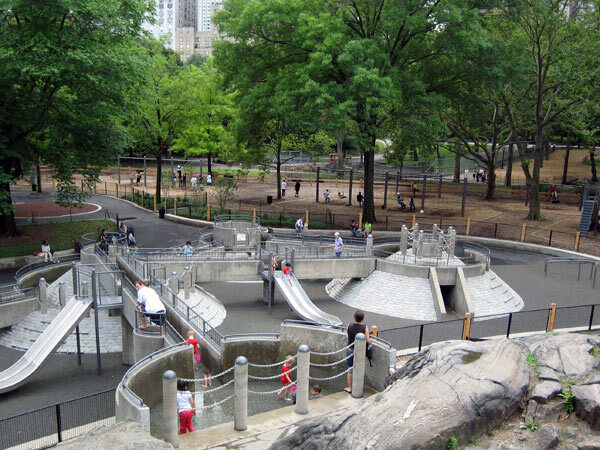 Although playgrounds of this type had been constructed throughout the city beginning in the early twentieth century, the modern playground was late to Central Park, rejected by parks advocates who believed they would infringe upon the park’s purpose as a landscape and rural retreat. Supporters of playgrounds advocated that a dedicated space for active children’s play would protect the park’s landscapes from overuse, an argument which influenced the construction of Heckscher Playground and eighteen other perimeter playgrounds, built between 1934 and 1936 under the administration of Robert Moses. In 1969, an adventure-style play area designed by Richard Dattner was constructed in the northern part of the site (one of seven playgrounds or play areas Dattner designed). 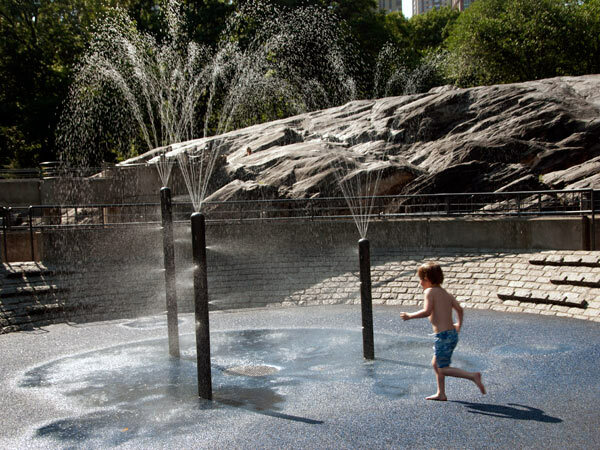 Within the existing wading pool, he also designed a water-play area comprised of elevated water channels connecting granite-faced structures that incorporated climbers, slides, and water features. 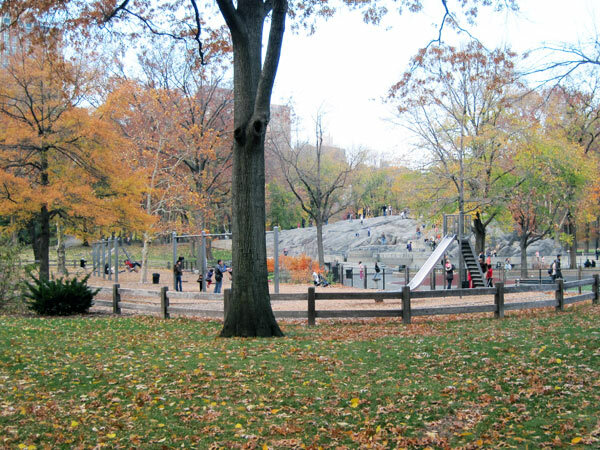 In 2006, the Central Park Conservancy reconstructed the playground, which included rebuilding the adventure-style features, honoring the playground’s larger history with more traditional swings and slides and the restoration of the recreation building, and better integrating the playground with the park through new plantings and surfaces.The playground along with all of Central Park was designated a National Historic Landmark in 1978.